Dr. Cynthia Oberholtzer-Classen, DPM Bio | Podiatry Associates, P.C. Dr. O moved to Colorado to start private practice in 1996. 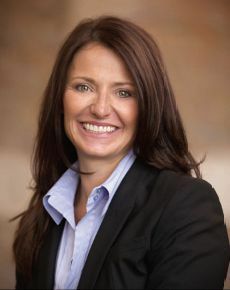 She founded and is the owner of Podiatry Associates, PC with three offices located in Denver, CO, Castle Pines, CO, and Parker, CO.
Dr. O attended Coe College in Cedar Rapids, Iowa and earned a B.A. degree in Biology and Chemistry. After that she attended Dr. William M. Scholl College of Podiatric Medicine in Chicago, IL for a 2nd B.S. degree and a Doctor of Podiatric Medicine degree. She then completed her surgical residency at Riverside Hospital in Toledo, OH. Dr. O is board certified in Foot Surgery and is a Fellow of the American College and Foot and Ankle Surgeons. Dr. O knew she wanted to be a doctor when she was 2 years old. At least that’s what her mom told her. She never changed her mind. She decided on Podiatry because she was interested in Sports Medicine and Surgery. Podiatry has been an excellent fit for her. Growing up in the Chicago area, Dr. O always had a dream of moving to Colorado because she loves the outdoors and she loves the bright sunshine. She wanted to practice medicine in a place that she wanted to live. She wanted to treat patients who had similar interests. Dr. O loves to ski, bike, and run. She has more recently enjoyed mountain biking down Crested Butte Mountain, shooting sporting clays and upland hunting. Dr. O has a passion to keep her patients doing what they love. Throughout Dr. O’s career she has been able to help her patients return to the activities that they love by providing care to their foot and ankle only to find that patients still had difficulty due to weakness and muscle imbalances. This is why she founded a Physical Therapy department. Physical Therapy has proved to be an integral part of Podiatry Associates, PC and the well-rounded care that she offers. Our physical therapists in Castle Pines can help patients with foot and ankle rehabilitation, as well as therapy for other parts of your body. They also offer one-on-one personal training after your physical therapy to keep you as healthy as possible. As much as Dr. O likes fitness, she loves fashion. She understands a woman’s foot better than anyone. She personally understands the difficulty women have in finding shoes that are comfortable for work and play. Her goal is to make women’s feet comfortable in shoes that support function and fashion.